Don’t miss out on the deal of the week and a 10% off sale! 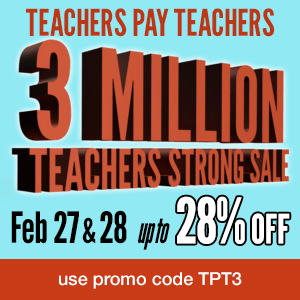 Everything in my teacherspayteachers.com and teachersnotebook.com stores are 10% off from 2/13/2014-2/16/2014! Don’t miss the opportunity to save yourself time and money. This bundle includes 4 PowerPoints. Each PowerPoint includes a basic and an enriched version. You can save $4.01 when you purchase these PowerPoints as a bundle compared to individually when they are not on sale and not the deal of the week. Now you can save even more! I lowered the price from 9.99 to 8.00 and then took another 10% off! You can now get all four PowerPoints for only $7.20! You SAVE $6.80 if you purchase it on or before 2/16/2014. These are the PowerPoints that are included. I have provided the link to where they are sold individually so that you can see what they include for content and their ratings and comments. Thank you again for following me on my blog and on teacherspayteachers.com and teachersnotebook! Have a wonderful Valentine’s Day! This entry was posted in Deals of the Week and Sales and tagged Progressive Era PowerPoint, Progressive Movement PowerPoint on February 13, 2014 by Kasha Mastrodomenico. The Common Core Social Studies Standard CCSS.ELA-Literacy.RH.6-8.3 encourages students to identify key steps in a text’s description of a process related to history/social studies. Basically, the Common Core Social Studies Standard is asking students to read and write down a sequence. This Common Core Social Studies Standard brings a basic skill into the middle school setting. Sequencing has always been an important basic skill in social studies. It can be implemented when learning about wars, processes of government, cause and effect and chronological timelines. In my experience, by the seventh grade, most of the students in a class are able to read a text and decipher the steps or a process or events. When I started writing this article on the Common Core Social Studies Standard CCSS.ELA-Literacy.RH.6-8.3, it came to my attention that I never really put much thought into how I taught students who hadn’t mastered this skill or I just assumed that they were on a lower reading level and had them focus on just getting through the text itself. I know that I was never taught how to teach sequencing in college. I have always considered it to be a skill that elementary teachers would teach which could then be used in middle school and above. My research on the subject seems to agree with me. The research that I conducted for this article on the Common Core Social Studies Standard CCSS.ELA-Literacy.RH.6-8.3 pointed me in an elementary education direction which I had to modify for the middle school grade levels. Common Core Social Studies: What Background Knowledge is Needed for Sequencing? Students first need to know what sequencing is. This may come up in a middle school classroom with second language learners. Other students may just need to be reminded. Sequencing is when events or actions are put in order. For example, chronological order, the order of steps or cycles. Secondly, students need to know the signal or transition words that can help them identify a sequence and master the Common Core Social Studies Standard. A list of some of the common words students will see are provided for you in the chart below. Common Core Social Studies: How can you Check for Understanding when Teaching Sequencing? Once the signal/transition words have been presented, the teacher can read a passage aloud pausing to ask students to identify the words used to signal the sequence. Then, students should read a passage and try to circle or highlight all of the signal or transition words that are used. I recommend that the teacher writes the passages themselves using the content they are covering in class because as middle school teachers we cannot afford to lose a day of content teaching to teach a basic skill covered in elementary school. This practice should help teacher solidify the basic common core social studies skill. Common Core Social Studies: What activities help students practice using text to identify a sequence? Obviously reading is the first step in all of these activities but teachers don’t need to give up creativity in the second part of the activities. 1. Creating Lists: As the student reads, they can write a list of the steps in the sequence. Teachers can differentiate instruction on the assignment for different ability levels. For enriched students, you can simply tell them to create a list as they read. Average students may need to know how many steps should be included in this list. Lower ability level students could be provided the steps cut into strips. As they go through the text, the should put them in order. Once they are sure the steps are in the right order, they can tape or paste them on their paper or just have the teacher check them. Another option for lower ability level students is to provide slotted notes for them to use that help the steps be revealed to them as they read. The last option I have for lower ability level students is to provide a list that is out of order. After they read or while they read, they can place a number next to each of the steps to place them in the correct order. 2. Sentence Strips: Have students put the sentences in order as they read or after they read. This can be turned into a fun group activity too. Teachers could divide the students up into groups and provide the same passage to each group to read. You can either provide the groups with sentence strips on construction paper that include the steps or events in the sequence or you can have the students write down the steps as they come across them in the reading. Once the reading is completed, the students should stand in the order they believe their steps or events belong and hold up their construction paper. The group that is in the correct order first, wins the game. Teachers can have students use a flow chart graphic organizer. As students read the text, they can fill out the flow chart. Teachers can differentiate instruction for lower ability level students by providing a word box on the graphic organizer to help guide them. You can find a bundle of flow charts ready to help you differentiate instruction by clicking here. Timelines are also considered flow charts. Timelines are a great tool for placing things in chronological order. They can be very simple and just include the events or they can become more complicated by adding things like descriptions of the events, date, and a drawing of the event to bring in the spatial multiple intelligence. Teachers can provide the timeline to students and have them write in the information or they can have students create them. 4. Recording: Have students read the passage and then retell the events or steps in order while being recorded. They can then listen to the recording while they check or self evaluate the steps in the text. While self evaluating, they should think about whether they included the most important sections, if they should have included anything else that could support the steps or events, and if their retelling would make sense to someone else who hasn’t read the passage. 5. Write a play: After students read the passage in a group setting, they should agree upon and then write down the steps or events. Then they could write a short play about the steps. This allows students to create something new while learning the content and practicing sequencing. 6. Charts: Either supply or have students make a chart that has a beginning, middle, and end section. Teachers can add questions in the text to break up the reading into sections to help lower ability level students. Teachers could combine the Social Studies Common Core Standard for sequencing with the Writing Common Core Standards. As the student reads, they should fill out an outline (average students if this is an introduction to the skill and lower ability level students) or they could create an outline on their own (enriched students and average students after they have been introduced to the skill). 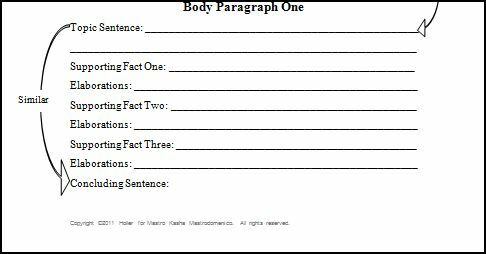 Once the outline has been created, students can then write the sequence in paragraph form in their own words to practice expository writing. Teachers can find a leveled expository writing system that I created by clicking here. 8. Pass and Add: This is a group activity that starts with the group reading the text. After they have read it, they take turns writing down a step or event until all are accounted for. They will then review them as a group to make sure they are in the right order and nothing has been left out by rereading the text aloud. The Commo n Core Social Studies Standards may change the way the teachers teach. I am not a reading specialist. I never took a course on how to teach reading and I think it’s safe to assume that most secondary education teachers haven’t either. Yet, the Common Core Social Studies Standards are demanding that we do just that. We need to increase our own knowledge through self education. We need to do research and we need to share what we learn because as I talked about in the beginning, what we assume to be true, might not be at all. Follow the link below to learn more about the Common Core Social Studies Standards and how to teach them in the middle school classroom. This entry was posted in Common Core Standards in Social Studies and tagged CCSS.ELA-Literacy.RH.6-8.3, common core social studies, identify key steps in a text's description of a process related to history/social studies on February 6, 2014 by Kasha Mastrodomenico.